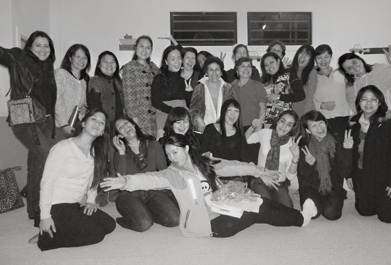 Our teachers are a diverse group who come from all over the world including Chile, Peru, China, Colombia, France, Japan, India, Germany, Puerto Rico and Taiwan. Many have degrees in language and education and years of experience in teaching. Many are parents themselves and experience personally the joys — and challenges — of raising bilingual children. They all have a passion for sharing language and culture with children and their families. Khawar oversees the Sponge business and team. He has over 25 years of experience working in the software industry and is currently focused on expanding the Sponge Method of language learning and bringing it to new students in the Greater Seattle and beyond. He enjoys traveling to far corners of the world, occasionally dabbles in oil painting, and is a fan of all types of science fiction. Heike hires, trains, and coaches our teachers. She develops our curriculum and ensures that each session is at its best. Heike brings over 15 years of teaching experience to Sponge, with learners of all ages. Her passion is in creating a springboard to lifelong language and intercultural learning. When she’s not working, you’ll find Heike gardening, traveling, reading, or with family and friends. Natsumi is the Sponge Elementary School Programs lead, responsible for all aspects of our elementary and pre-school programs and also teaches Japanese classes. She has studied in Japan, US and Barcelona. She loves cultures around the world as well as seeing the delights on children’s faces. In her free time, you’ll find her making jewelry, doing Zumba and ballroom dance. Rachael leads our customer service, and also writes the Sponge newsletters and storybooks. She worked for over 5 years as a development worker and civil servant in the Philippine climate change commission. She’s passionate about language and communication, and spends her free time teaching debate or watching movies in different languages. She’s studying Spanish, and also recently started boxing! Morgane is our Program/Operations Coordinator. She manages tutoring programs, coordinates training and coaching sessions while researching content that makes Sponge classes one of a kind. In her spare time, you will find her hiking in her backyard also known as the beautiful Pacific North West, traveling around the world or cheering on her favorite little people.